OK now I've got that out of the way let's get on with reviewing this palette. 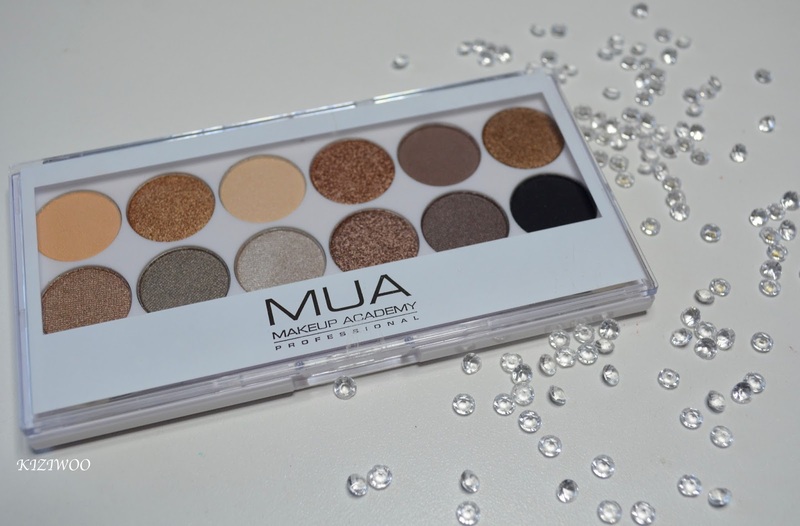 The Undress Me Too palette from MUA comes in a white plastic packaging with a clear lid, a bit different to the other MUA Palettes. I have to say I think I prefer the white over the black. The palette incorporates 12 warm timeless colours that will suit everyones skin tone. Containing a mix of metallic, shimmer and matte shades the options are endless with this palette. Unlike my original Undressed palette (bought 4 years ago) the eyeshadows are all named which I think is a nice touch. 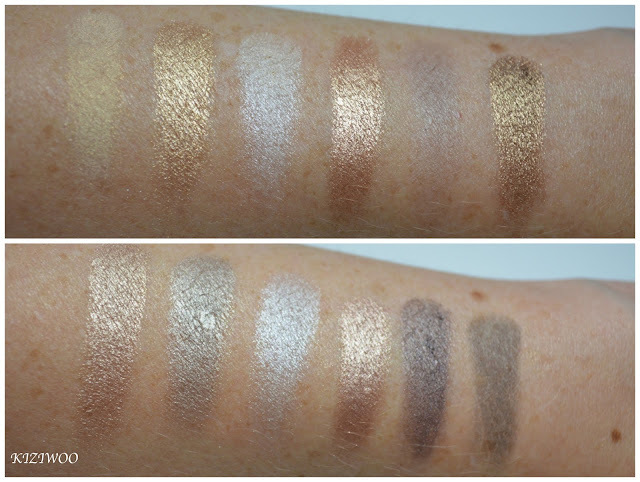 The pigmentation is very good on almost all the colours which you'll see on the swatches below. To swatch the colour I simply swept my finger across each shade and you can see for yourself how pigmented they are!!! All the shades have a wonderful creamy feel to them; excluding the matte shades, Naked, Lavish and Corrupt which have a more powdery feel to them. Undress Me Too has a good mix of colours. This can be used for a very natural everyday look, if minimal is your thing. You can also warm and smoke things up a notch if you prefer more colour and really experiment with the gorgeous golden shades. Do they last? Yes, all of the colour lasted well, and I do have a very long day for makeup. I've also heard this is a dupe for the Urban Decay Naked 2 palette. I don't own the UD Naked 2 however looking at images online it's pretty close. Really for £4 this is well worth buying, you can't go wrong! Lovely shades! Just maybe a tad too frosty for me. Up Date | Where have I been?